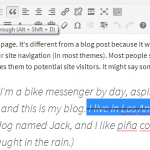 Scribble out your content with a squiggly line instead of a boring strikethrough. 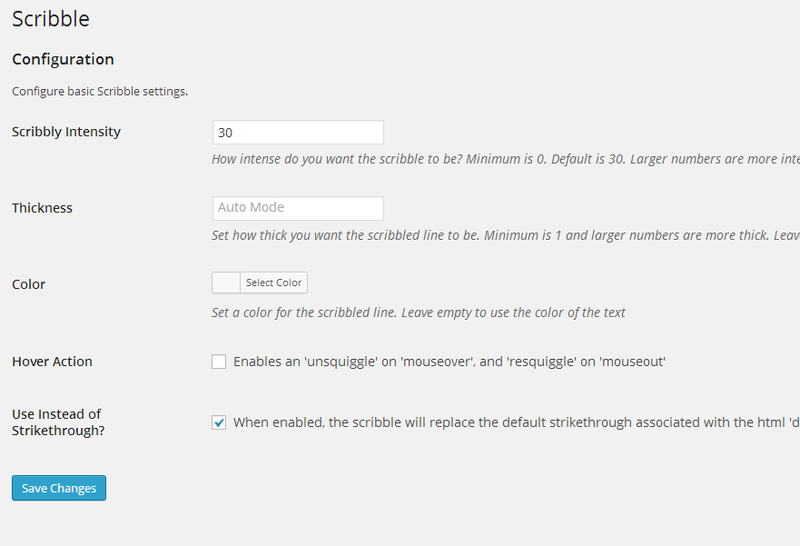 You can easily customize your scribble settings via your WordPress admin > Settings > Scribble. 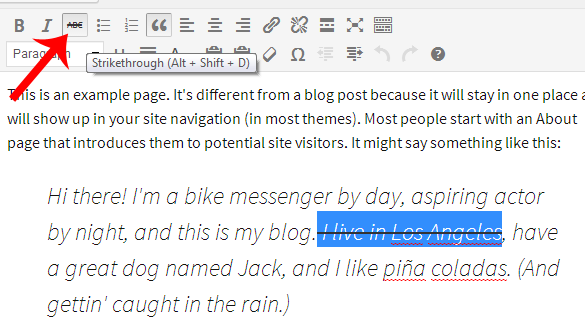 Method 1 (The easiest way): You can add scribbles via the strikethrough icon in the WYSIWYG visual editor. 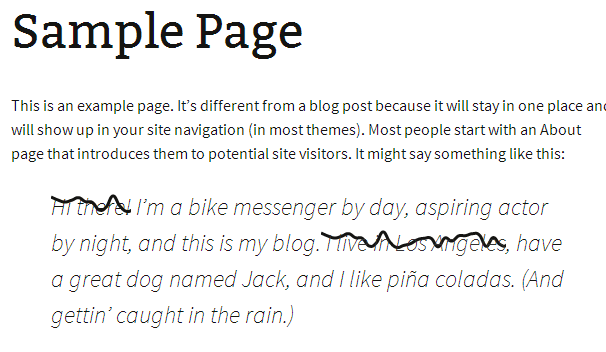 Method 2: Add class “scribble” to the target html element. 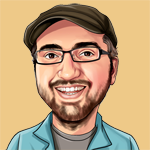 Thanks to Jean-Christophe Nicolas who made the original jQuery plugin. 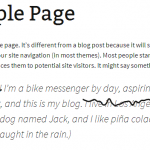 This entry was posted in WordPress Plugins and tagged scribble, strikethrough by justin saad.